Hello and welcome to my blog little teapot! as part of SOS March CCC . Whisper White and base from stash. Paper -Authentique Natural paper pad. 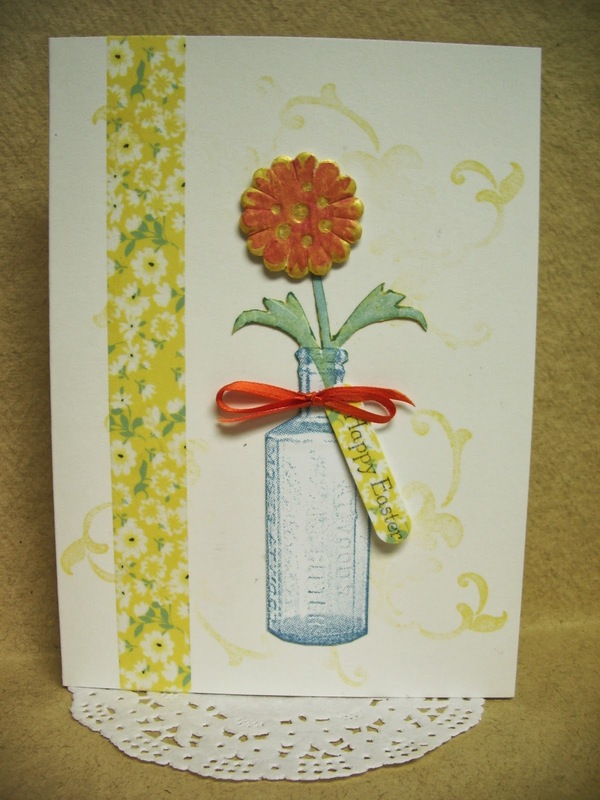 Ink -Stampin Up!-Marina Mist, Night of Navy, Daffodil Delight. Clear embossing powder and Glitter pen. 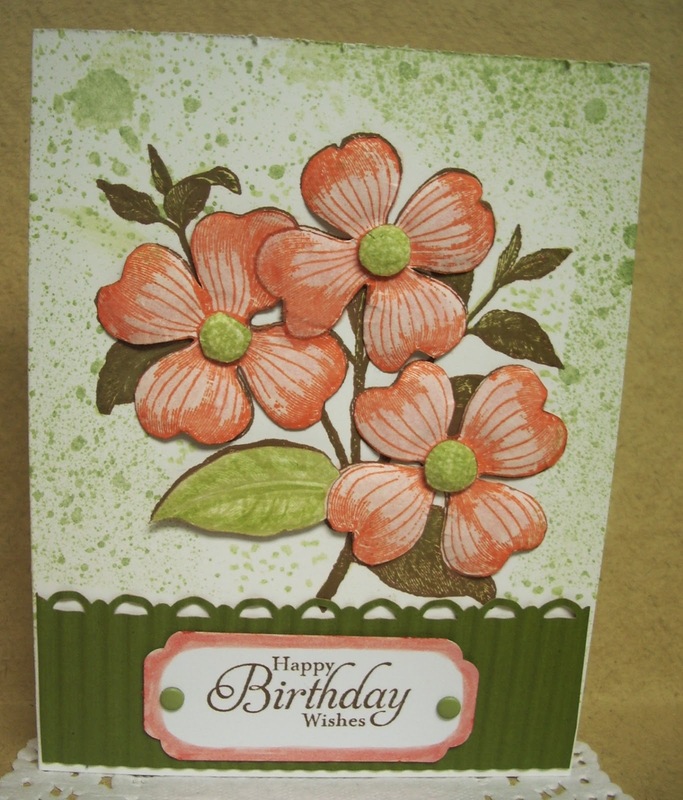 For this card I used multi generation stamping on the layers. pencil crayons and glitter pens. Stampin Up! flower image and sentiment on tag. Unknown vintage bottle stamped with distress ink. Flower stem added to bottle before fussy cutting both. Close up of flower in bottle. and coloured with markers and glitter pens. Stamp used is a Quietfire Design favorite of mine. 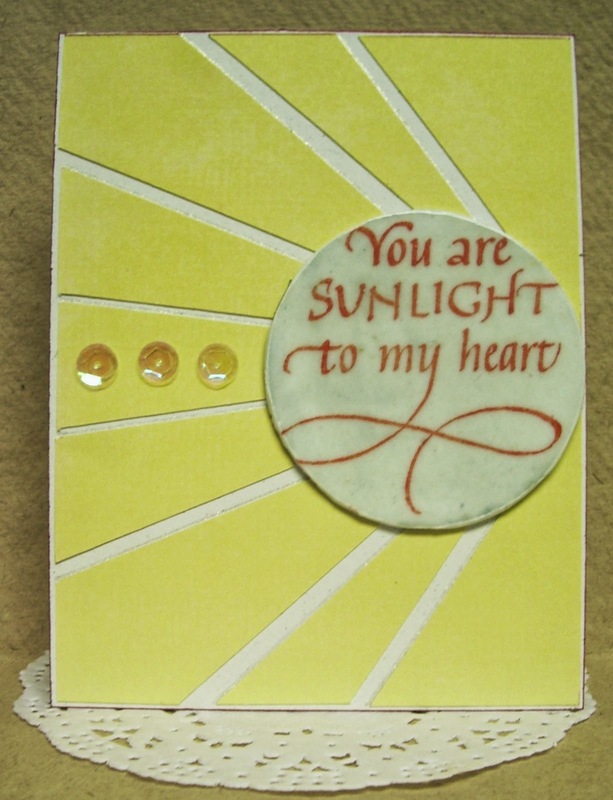 Quietfire Design and Scrapbook Adhesives Blog Hop . Today it's Yogi and my turn to share some inspiration so please hop on over and join us! Quietfire Design and Scrapbook Adhesives Blog Hop on now!!! Hop on over to check out all the projects and enter to win some awesome prizes!!! Don't forget to check out the wonderful talent and enter at Crafty Power Blog too! Prepare to have fun and be inspired! Hi, today I have a trio of bookmarks to share with you. and Stampin Up! Poppy BG. Labels: Bookmark, Quietfire Design Stamp, Stampin Up! Have you heard, paper tole is making a come back how sweet is this! 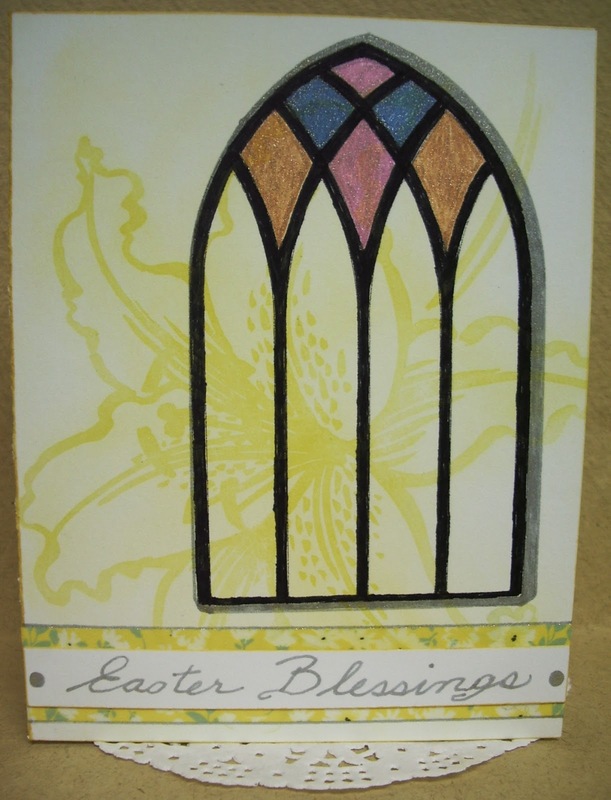 as this card is for a cousin overseas. Stampin Up! sentiment from Simply Sketched set. I stamped it 3 times the middle is my card base. leaves in Chartreuse using Heidi Swap Color Shine. Rough cut out of flowers. Cut the centres and leaf from this sheet. A close up view of 3D effect. 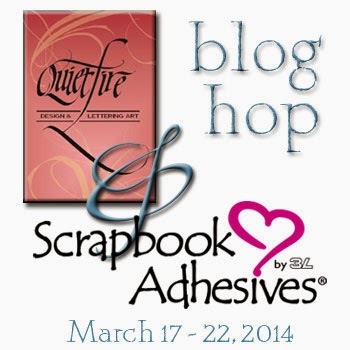 Quietfire Design and Scrapbook Adhesives Blog Hop on Now! 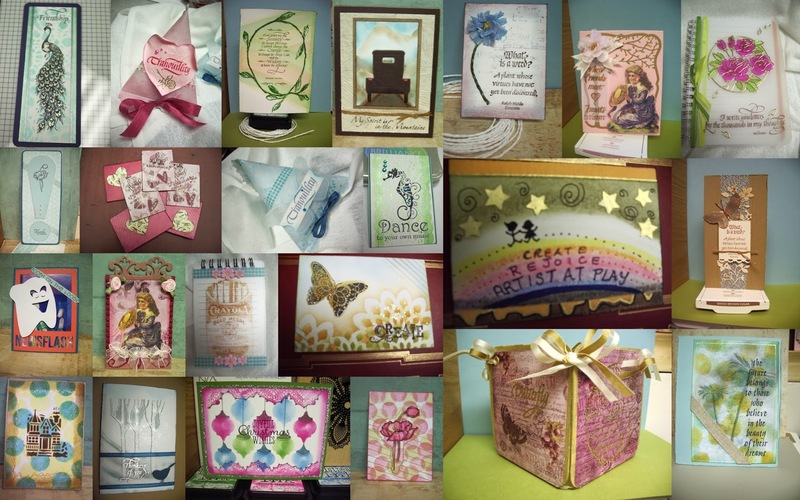 Enter our contest at Quietfire Creations, then go over to the Scrapbook adhesives blog to see their project of the day and enter their contest, too! All our best wishes Card, a photo by jmcraftygal on Flickr. If you've been following Quietfire Creations Blog you may have noticed Throwback Thursdays. Where they showcase past projects that are sure to inspire. I was inspired by the pretty Fill your paper Tool Holder and here is my take on it. To large soup can attach with double sided tape the TH -Kraftcordinations paper that has been dry embossed with Sizzix EF -Chicken wire. Spritz with Heidi Swap Color Shine -Peach to color (very fragile when wet). Use Heat tool to help dry if needed. Assemble flower with glue dots, top with Rhinestone. Spritz with hair spray to lightly moisten, then carefully fold up petals. Gently keep scrunching and folding petals until happy with their shape. 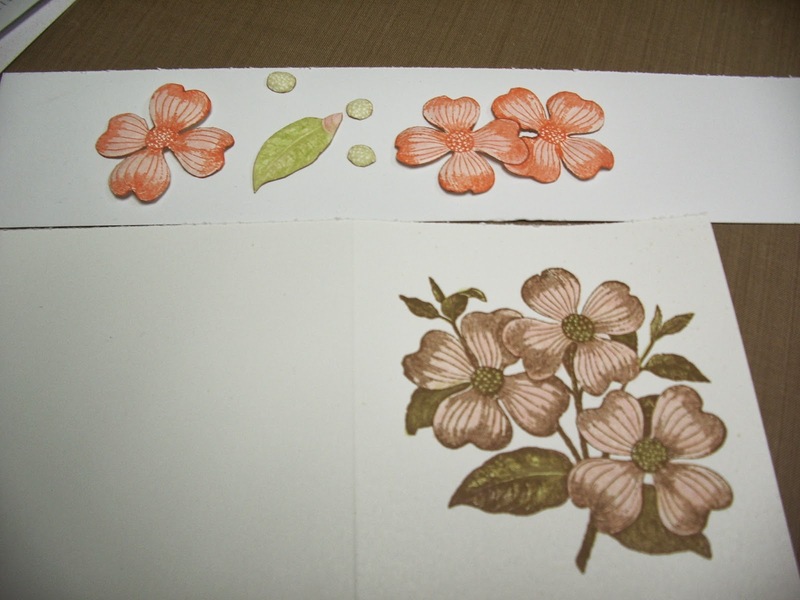 before attaching to flower base. on lable (see photo for position). 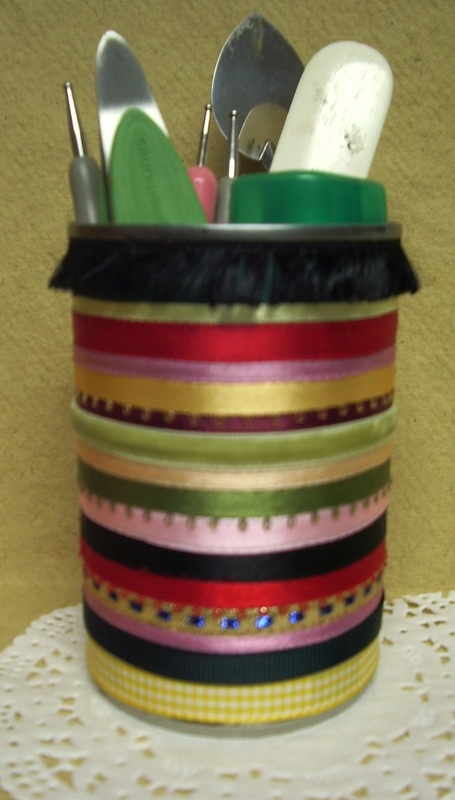 Wrap and tie Papercord around tin then attach lable with double sided tape. This tin tool holder is made using ribbon scraps. using the DCWV Fiber Natural and EKS Flower Punch. I love projects that make treasures from trash. Jalopy Birthday Card, a photo by jmcraftygal on Flickr. Daffodil Notecard, a photo by jmcraftygal on Flickr. 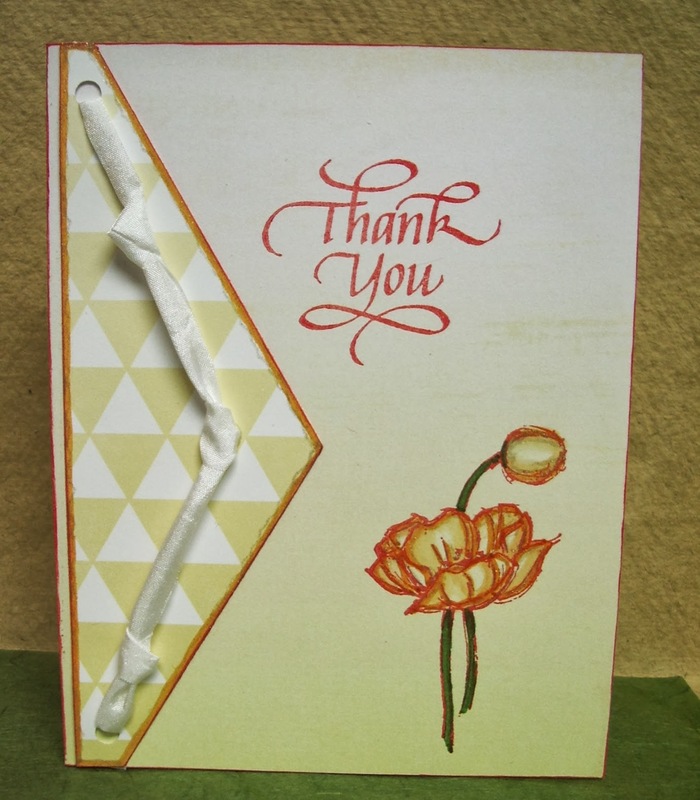 A quick and easy note card made with the lovely Stampendous Trumpet Daffodil Stamp so perfect for Spring. House ATC For Let's Swap ATC's -NFT, a photo by jmcraftygal on Flickr. I made this Artist Trading Card in the shape of a house for one of the March challenges at Let's Swap ATC's Flicker Group. My information is hidden behind the door. A collage of projects from February. Thanks for stopping by enjoy your weekend! 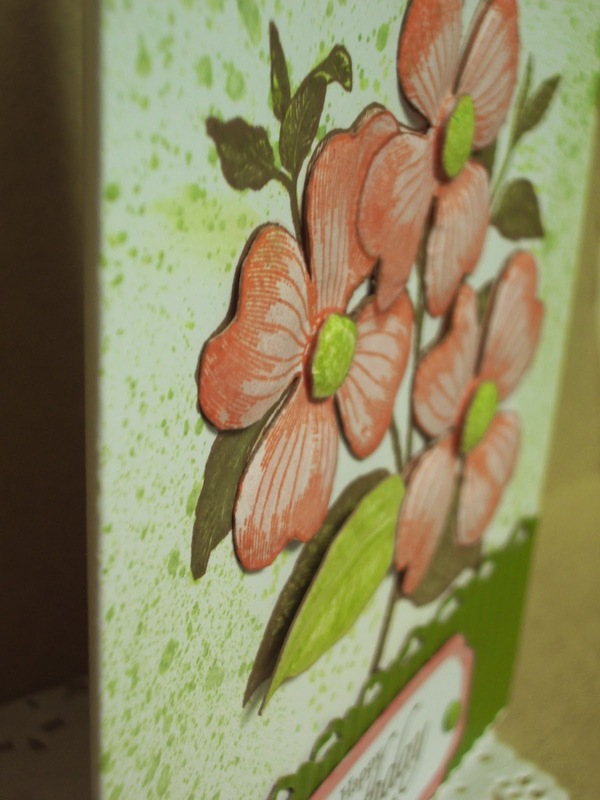 Today I'm sharing a quick and easy card. with awesome triangles on the one side. 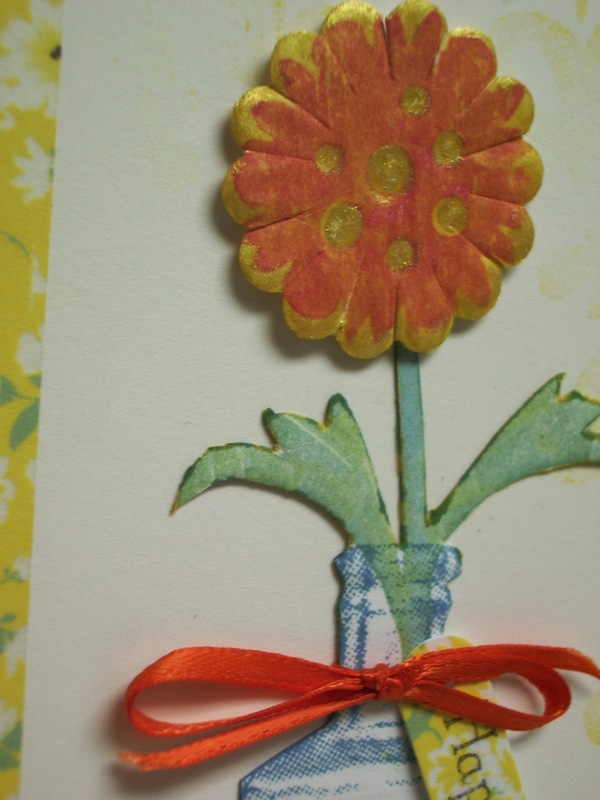 and the Poppy is from Stampin Up! Here's a photo of the other supplies used. 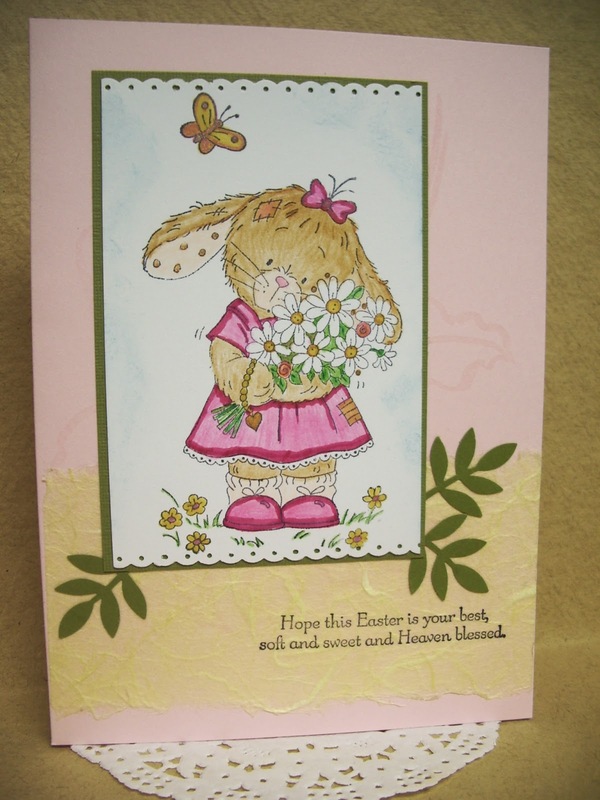 To make this card I cut and folded the double sided Card stock for a 5-1/2 x 4-1/4 base. Then cut a triangle as shown. I ran the Red Pepper Ink pad around all edges. Using same Red Pepper Ink I stamped the Poppy and Thank You. Next I used Peeled Paint Marker to colour the Poppy stems. Then traced to the inside of the stamped image with the Spiced Marmalade Marker. This was followed again with a wet brush to spread the Spiced Marmalade around some, leaving some areas untouched so the background colour also comes through for highlights. Then I ran the Spiced Marmalade Marker around the triangle followed over by Clear Star Glitter Pen also added some Glitter to the Poppy at the same time. Punched the holes and added the knotted ribbon before adhering triangle to card base. I hope you enjoyed your visit today! Labels: Cards, Quietfire Design Stamp, Stampin Up! Hello! It's snowed another foot over night and still snowing hard as I write this. But never mind I'm warm and cozy inside and thinking Spring. Today's share is a Birthday Card for an avid gardener with a jungle of house plants. Again I've used the Flourishing Inside Hearts stamp from Quietfire Design as leaves. 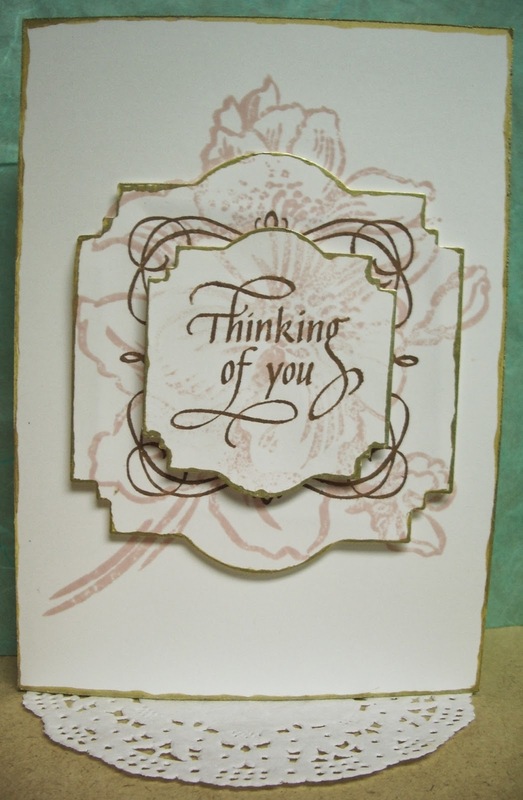 The burlap paper Die Cut gives this card an organic feel and adds wonderful texture! Best Wishes Card, a photo by jmcraftygal on Flickr. Thanks for dropping by enjoy your day! I like how the black and green pop against the white base. Detail of my DIY Embossing. Big Shot to cut a mask out of Chipboard. Next I attached the mask with repositionable tape to the inside front of my card stock base. as I would any other Embossing folder. I just love finding new uses for my craft supplies and tools. Hello, today I'm sharing several Note Cards made with My Ladies Diary Paper it's been in my stash for a while but I still love it. Hello! Just a couple of ATC's to share today made for the February Tea Cup swap at Lets Swap ATC's Flickr Group. 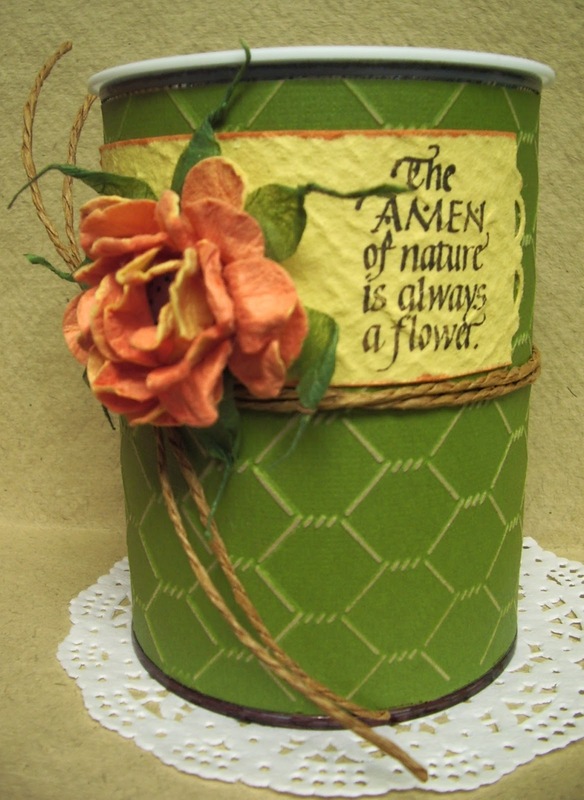 The paper is from A Ladies Diary and Stamps from Stampin Up!